I have made a lot of furniture over the years, much of which I don’t own any more. Most of my current projects are “camp” or “rustic” designs. 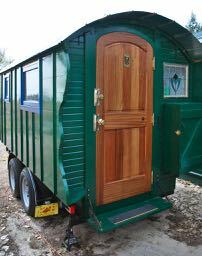 I am very fond of the Arts and Crafts movement and have built quite a few pieces from designs of that period. This is my favorite camp stool design. 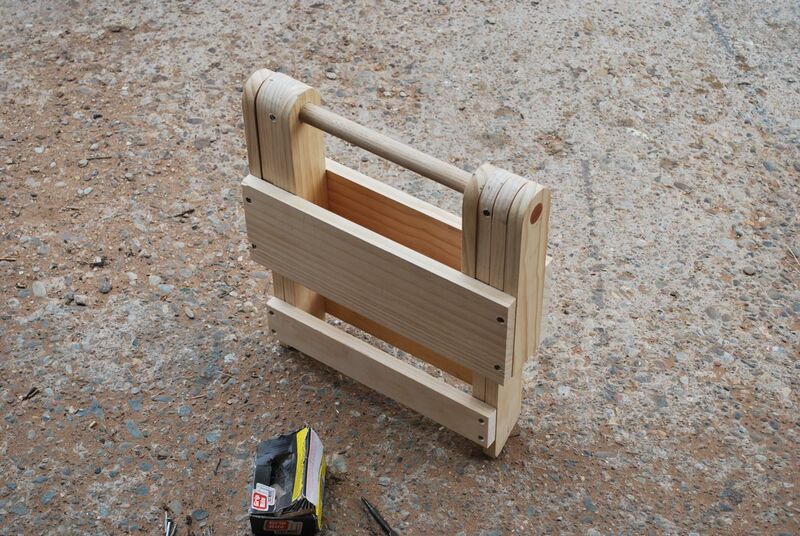 It folds down small, can be made to any scale, and is sturdy enough to stand on. Just to clarify; these are my own designs and are not copied from anyone else. I looked at a couple, sat down with a pencil and paper, and created these. They are not copyrighted in any way and anyone should feel free to build them. 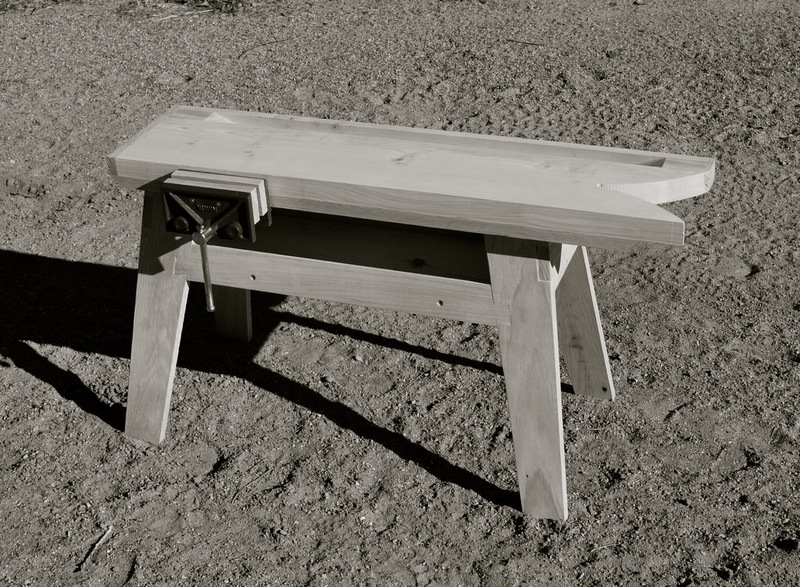 A simple “pea-picker” type stool, folded. 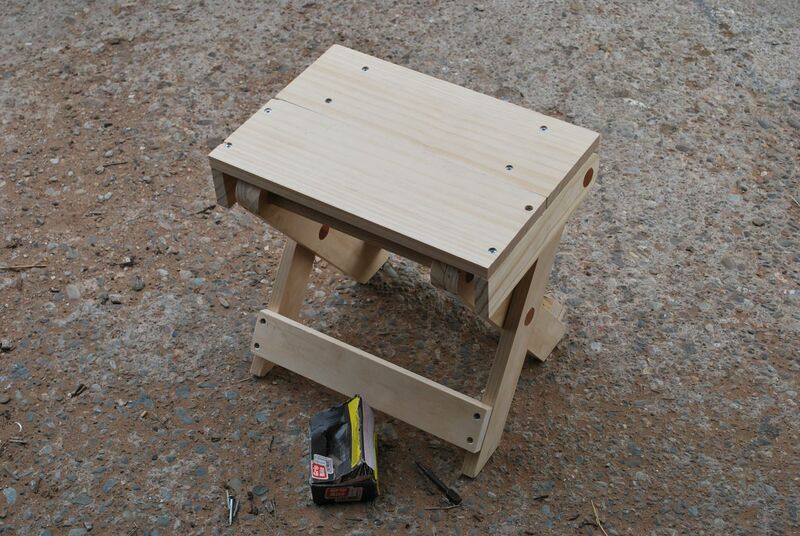 A simple “pea-picker” type stool, ready to use. 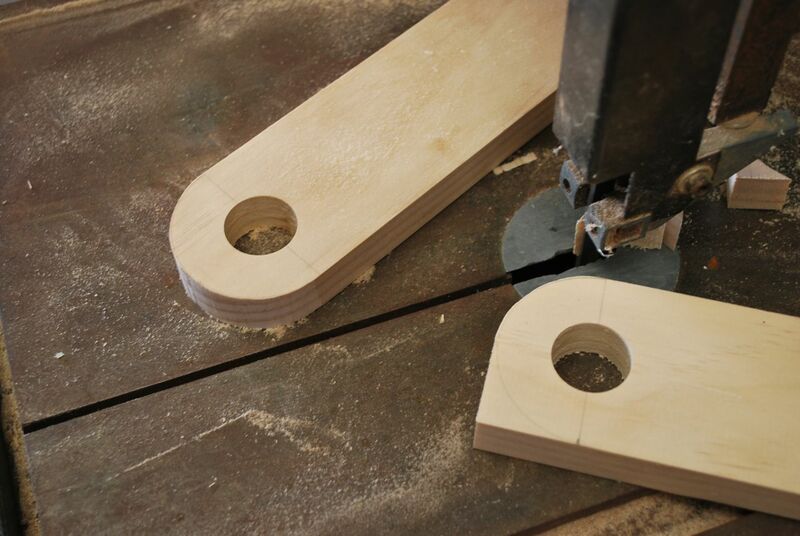 A band saw makes this kind of work easy but a coping saw works as well. A drill press and good bit make fittings more precise. Piecing it together (in the right order). Seventeen pieces, twelve holes, and a few screws. 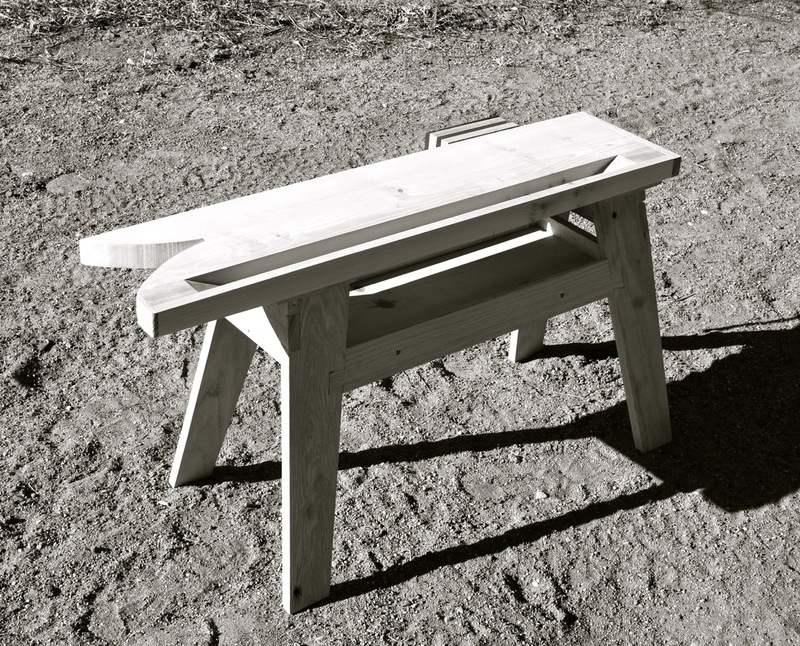 Dimensions: 18″ legs, each half of seat is 5 1/2″ wide. This causes it to sit at 15 3/4″ which is the low end of “standard” seating which is normally around 17 3/4″. Testing for sturdiness. You can see that it is missing one stretcher still. The wooden truck topper. Click the image above for more details about this build or HERE to view the original post. My “sea chest,” another step toward minimizing possessions. Click the image for the original post. Bowl and plate turned on a treadle lathe by Mick Robins. I whittled the spoon from an Osage orange scrap. Click for a look at my recent banjo build. There was a time in the not too distant past when a cash economy wasn’t a very real thing and most of our ancestors made their own household utensils for daily use. Above are a couple whittled spoons in Osage orange and American walnut. A variety of kitchen tools. A few small mauls (spoon for scale) used around the workshop primarily for leather and woodworking tasks. Hi, Can you send me the plans and instructions on how to build the small table , it looks great .. I don’t have plans or instructions written up yet. I took one of my stools, a piece of graph paper, and pencil and just expanded it. I hope to get real plans up sometime soon though. The key to the table is getting the height right. I have never seen an actual set of plans for this kind of furniture but I suspect they are out there. Any chance of plans soon? I was planning on building one of these in a few different variations and I was wondering if you had ever gotten the chance to make up some plans for this little stool? I have not. 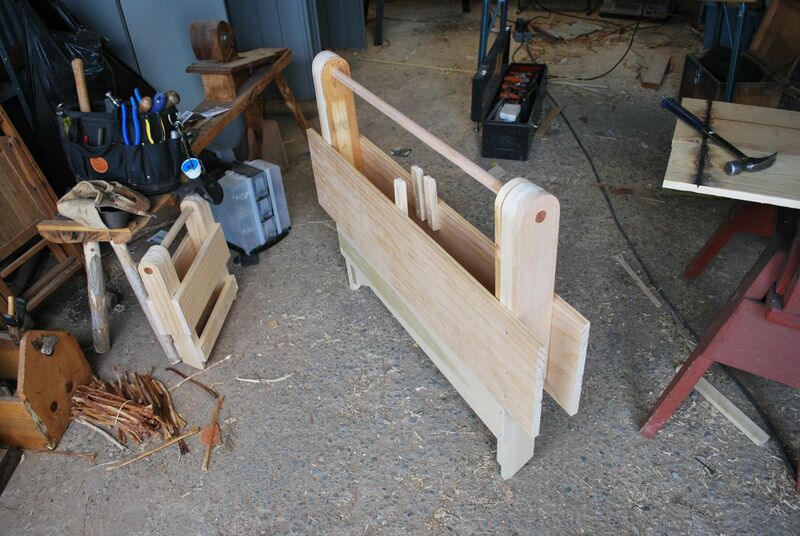 If you have some woodworking experience you can probably wing it from the photos. If not, I really will try to get some dimensions up very soon. Plans for stools & chairs can be purchased from Dixie Gun Works in union city TN. If anyone uses these, I would be interested to know if they are good or not. My design stands 15 3/4″ high, is 11″ front to back, and each leg is 18″ long (then cut round and bottom is angled to sit flat. The width is totally up to you and I have even seen a two person bench made this way. i have a table like that, and i love it. i sell my hats off it. mine has taken a beating over the years and looks it, but is as solid as when it was made. at any rendezvous you can find them made by many different folks. i’ve never seen patterns for that style, they’ve been around so long and are so easy to make. Thanks for posting the plans. I have been searching for a week. I made one with no plans that would not work. After buying a cheap plastic folding table and having one of the legs break off on its first camping trip, I hunted long and hard for plans. Found these, gladly paid the 12 bucks, and have made 9 of tables so far; for myself, friends, and family. Two of them were made from black walnut that came from a deseased tree cut down more than 30 years ago. 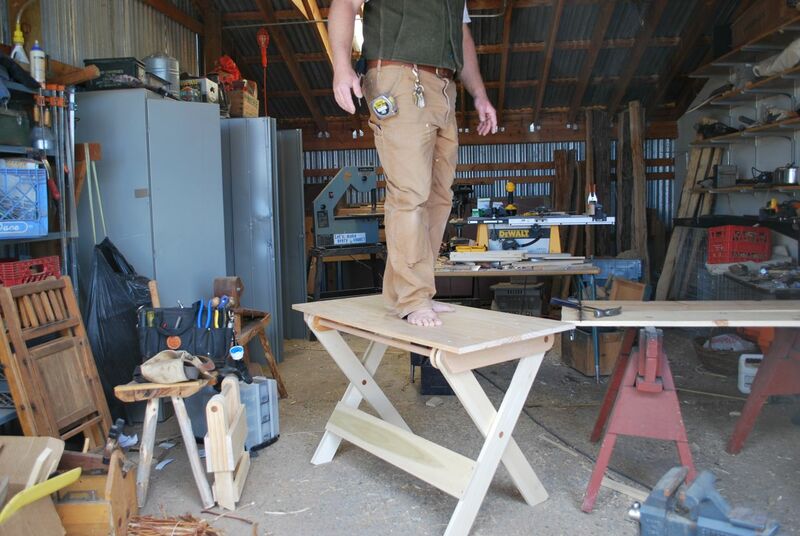 These are great plans that even a woodworking rookie could easily use to make a beautiful, functional folding table. Can you give an indication of the weight of these tables? What is the angle for the end of the legs? How long are the shorter leg pieces? I’m not sure,but I made this stool about 20 years ago. It was from plans in Wood magazine or something like that. 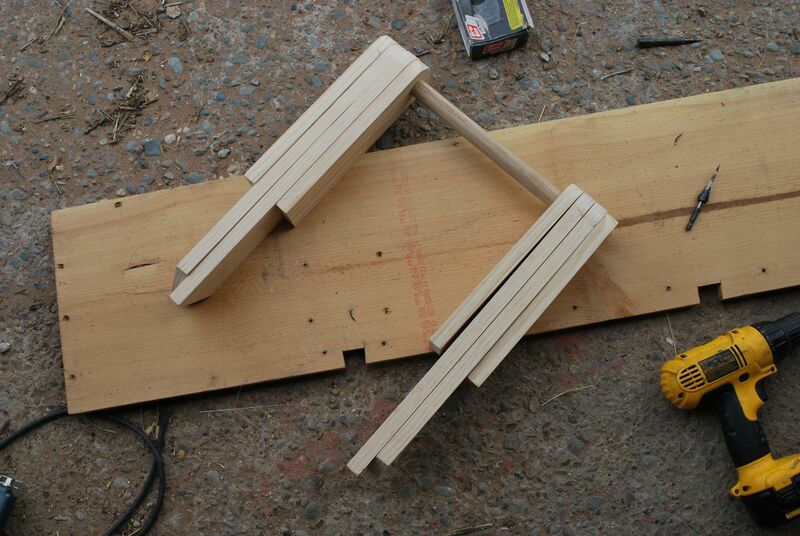 And I had to reverse engineer it based on ones I had seen and dimensional lumber. 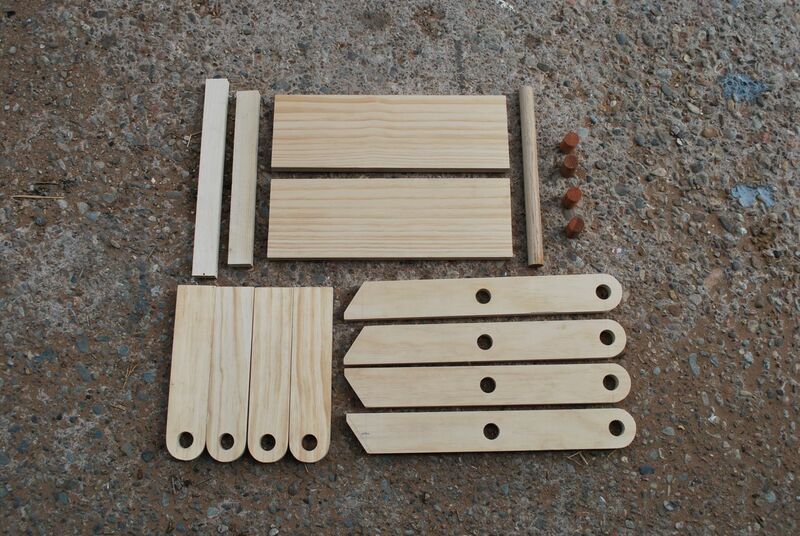 I teach wood shop at my local high school and am currently going to have my grade 7 class make them (using an assembly line process for making parts). I did find the plans on 3DWoodworkingPlans.com for under $3. I will let you know how it goes. That is awesome. A great project for the kids. I would love to see how they turn out! I made this yrs ago and have been looking for the plans.I found them here thru Craig W’s site. 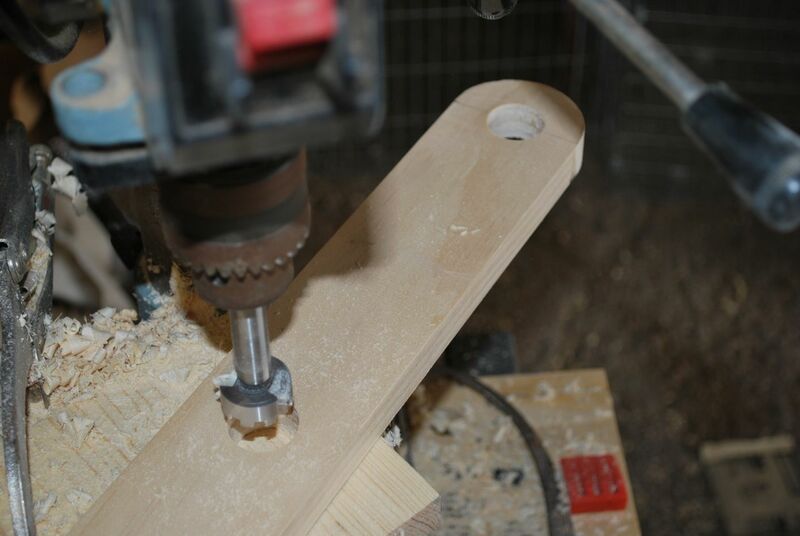 But it doesn’t say how to secure the dowels in place.are they glued in the ends ? I have glued some of my more recent ones (to one side only!) but my older ones have a very small finish nail hammered through from the side. Id doesn’t take much. Just enough to keep the peg from wandering. I’m an archaeologist studying woodwork in Judea of the Roman period. I’m looking for custom made turned bowls, made on a pole lathe. Do you do that sort of things? I don’t, but know people who do. What part of the world are you in? They’re relatively easy to find in the U.S. and Britain. Search terms that might help you are Pole Lathe Bodger.